Taiwanese fried chicken is having a moment right now. Known in the street markets of Taiwan (the gluttony capital of Asia), Ji brings their tender and fried-to-order chicken. Mouth-watering seasonings finish off this treat – there are 11 powders to choose from (for now). 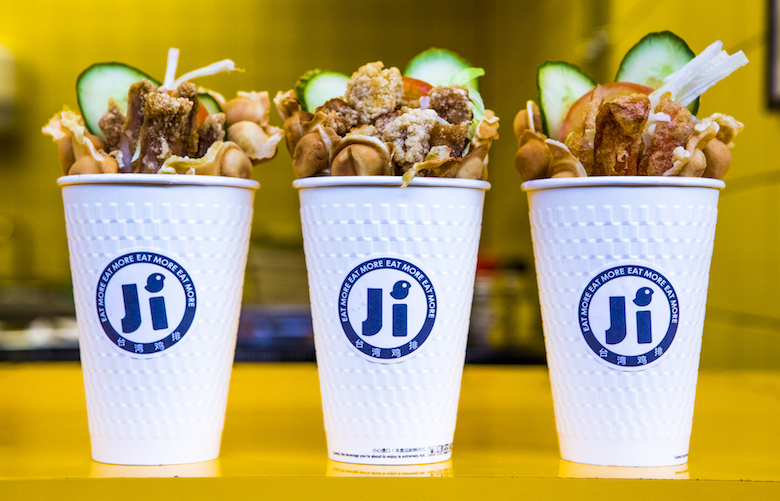 Pick from bubble waffles filled with chicken breast, bubble tea or their infamous popcorn chicken. If this isn’t on your food bucket list, it should be.